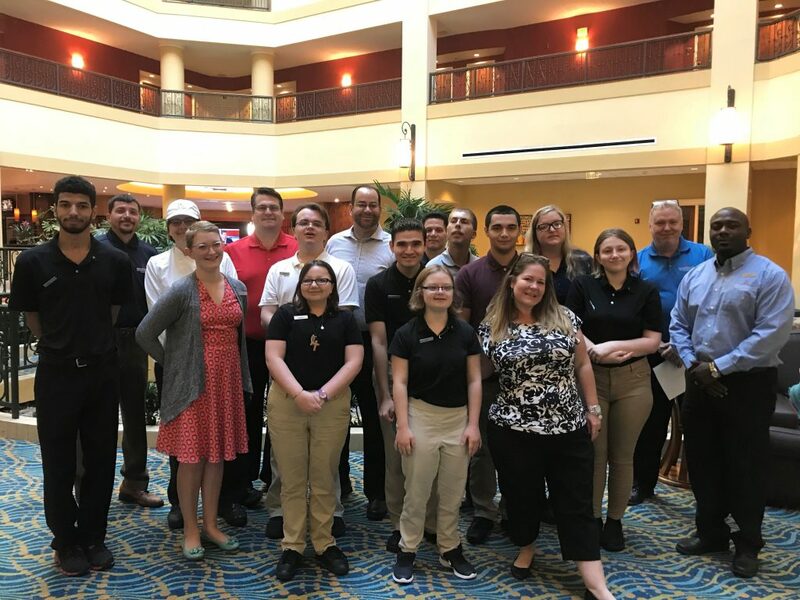 Project SEARCH and the new 2018-2019 interns are back in action at the Renaissance World Golf Village Resort. Now in their second week of orientation, the interns have undergone numerous team building activities and hands on training in several different departments. They have also had intensive instruction that covers self-advocacy, communication, task analysis and the different department roles and responsibilities. Toward the end of this week and into next week the interns will be transferring what they’ve learned so far in their orientation weeks and begin shadowing different department employees, supervisors and managers. Soon after, everyone will be placed into their first of three internships. We could not be more proud of our group of interns this year and we can’t wait to celebrate all their future successes!